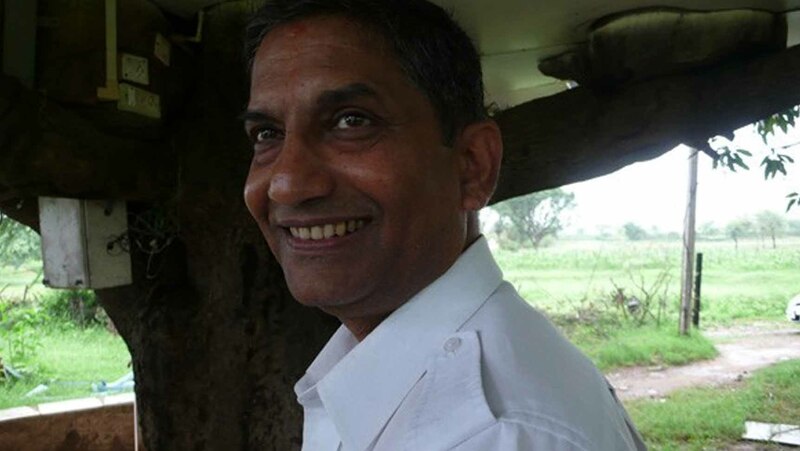 Mr. KP Singh from Udaipur is a delightful engineer with a gleaming Colgate smile. 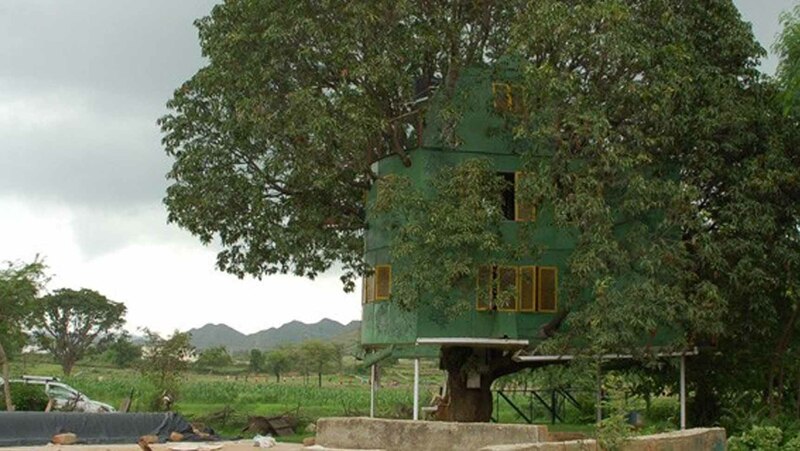 When his clients came to him with a plot of land with a Mango tree in the middle, he refused to cut down the tree and convinced the client to build a Tree house. The structure that developed around the tree is a series of small cozy enclosures, with branches jutting out from the walls around. The Tree itself is load bearing structure and the house is designed specifically to deal with the local winds. The Bangalore Express is a contemporary Indian restaurant in London with a very warm ‘Bangalorean’ ambiance so to speak, well Bangalore isn’t really the Garden City anymore. But, the concept behind the interiors is based on the concept of Bangalore – Garden City and Express – Indian Railways. 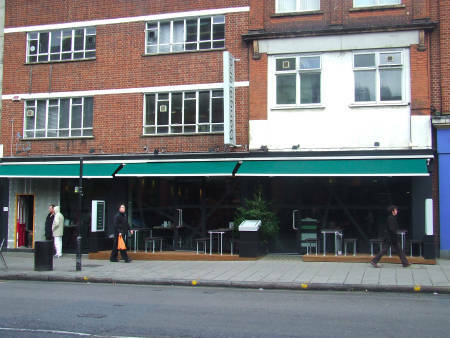 Entrance is not too exciting, the restaurant sits on 103-105 Waterloo Road, with a few tables outside. But once you enter the restaurant it is a whole other world. The chaotic lines criss crossing over shades of green blending in with the timbers and furniture, gives it a urban-earthy feel. Like the railway sleepers they have a scaffolding with a dining area on the top level. The customers sit in their little berth, crammed in for a more private conversation. Their menu offers a wide range of North Indian Food. Yes, i don’t understand how it makes sense at all. This space is all about romanticizing India- Bangalore – Indian Railways. The language is clear – chaotic lines, earthy contemporary colours and crammed spaces between railways berth scaffolding. But the type of food offered is just disappointing. Incite and the Gothe-Institut Max Mulller Bhavan, are organising a Contemporary Architecture Exhibition and event, collectively called 080 TRANSFORM. The Event is aimed in informing people about the city of Bangalore and where it is heading in an architectural context. The exhibition is no restricted to the architects and designers but everyone who is interested in Contemporary architecture in Bangalore. I would recommend architecture students, developers and anyone concerned with Bangalore’s infrastructure and urban planning attend this event. There are limited enteries and works on a first come first serve basis. 080 TRANSFORM, with a strong design focus, has a multi-directional approach through the exhibitionand associated events. Projects built in the timeline of 1990 – 2007, that have consciously attempted to transform the built dialect of the city, are featured through panel displays. The exhibition presents forthcoming transformation ideas – explorations that are not yet realised, through models. Design Dialouge, Dialouges among architects and various professionals. Design Walk of Projects, Tour of Projects with Architects. Meet The Architects, Direct Conversation with Architects. Some of the best Architects of the day will be presenting their work and Ideas at the venue. Including Aumitro Gosh and Nisha Matew from MgA, Prof. AR Jaisim from Jasim FountainHead, Gayathri and Namith from GNA, V. Narasimhan from Venkatramanan Associates and many others. A detailed schedule of events and exhibitions can be downloaded at the Incite website or here. Woods Bagot and ERM in partnership are designing the masterplan for a new IT park commisioned by ASF Infrastructure in Gurgaon, 20 km from the South of New Delhi. The 2000 crore investment is located on a farmland of 20 hectares,and is aimed at achieving Leed Gold ratings. The project is to be completed in the next 5 years. Images via Woods and ASF. Found this trailer for a documentary on B.V Doshi by Premjit Ramchandran. Any one know about this please shout out.